The MINN Talk and Tour (T&T) is an opportunity for MINN members to gain first-hand knowledge of the workings of international NGOs in the state. The T&T agenda is simple: Employees of an international NGO offer a private tour of their facility and then field questions about their organization’s work and their office culture. NETWORKING OPPORTUNITY: There will be a networking opportunity following the Talk and Tour at starting at 7:30 pm. 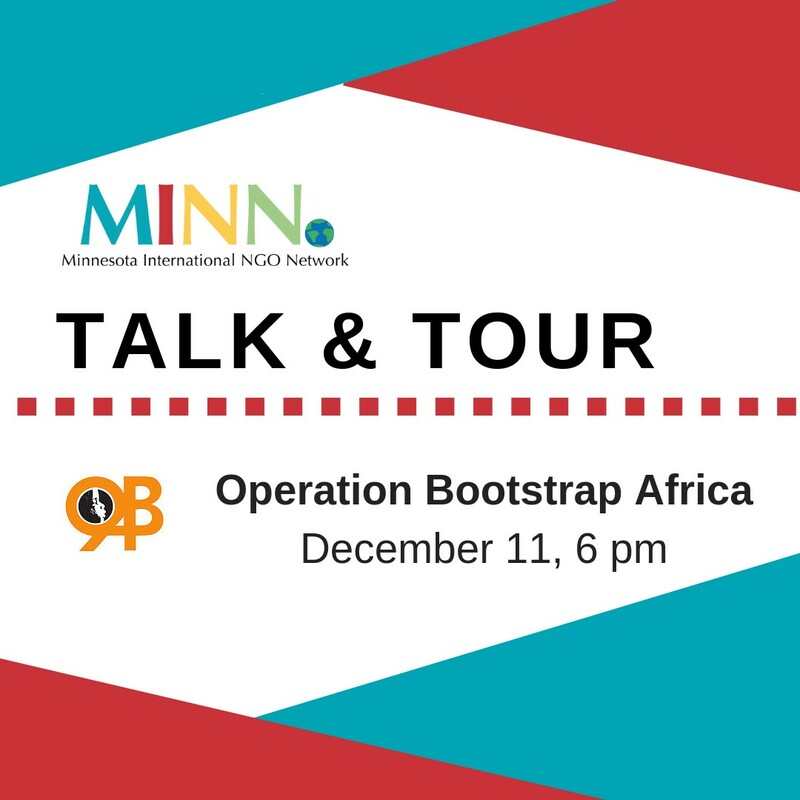 The networking event is open to all who would like to network with the MINN community and the Operation Bootstrap Africa staff! This will be held at the Crooked Pint Ale House. QUESTIONS? Contact Meghan Adams, MINN Program Committee member, at program@minnesotangos.org, with any questions.